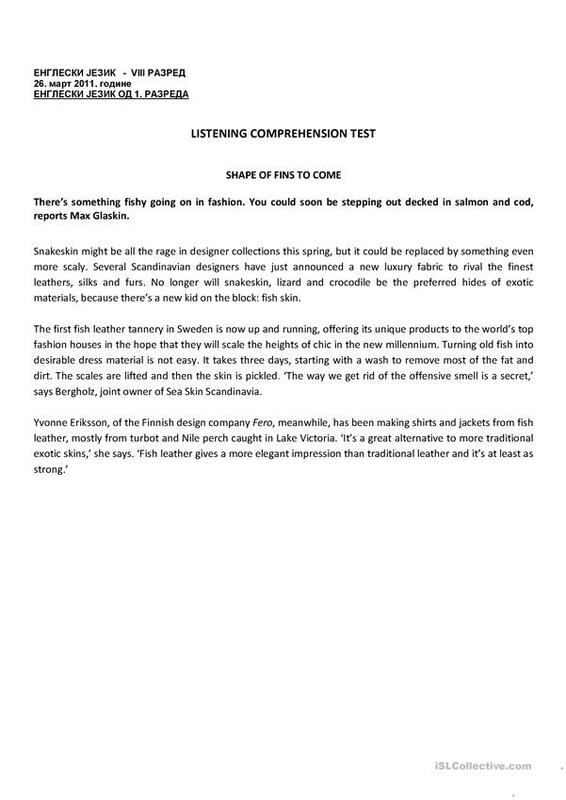 Test designed for teacher to help them check students' listening skills. 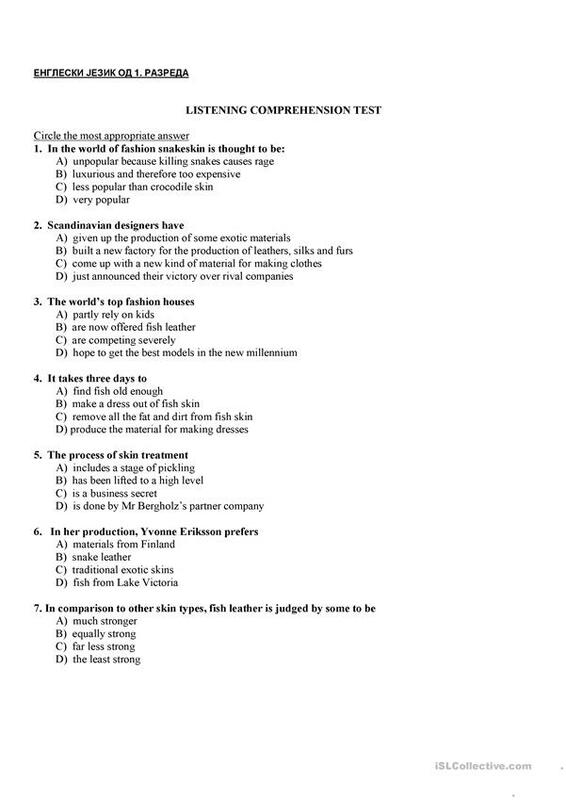 Seven multiple choice questions included. This test was a part of English language competition in 2011. It can be done as a reading competition test. The above downloadable printable is best suited for high school students and elementary school students at Intermediate (B1) level. It is excellent for enhancing your class' Listening skills. Alexa10 is from/lives in Serbia and has been a member of iSLCollective since 2011-10-19 22:15:45. Alexa10 last logged in on 2019-04-15 20:33:22, and has shared 2 resources on iSLCollective so far.